You can use wireless printing from ANY mobile device on Campus by going to http://mprint.unitec.ac.nz. For more instructions on this, see Wireless Printing Guide. You can print directly from Unitec computers and laptops. You can also copy your work to a usb memory stick and use one of our express print PCs, or if you wish to print a pdf you can do that by plugging a usb stick into an MFD. * You pay according to the number of sides printed. You can add value to your ID card using cash and eftpos at the Monitor Kiosks in various locations (libraries/Copy Centres) at Unitec. At Unitec libraries, people without Unitec ID cards can also get credit to copy (but not print) by using the Kiosk to print out a ticket with a code for logging into the system. It is not possible to print at Unitec libraries unless you are a Unitec staff or student (NOTE*: Unitec Copy Centre is open to the general public, including ex students). Instructions for using the MFD have been posted on the walls near the machines. Printing to MFDs defaults to double-sided printed. See instructions for printing single-sided. When you swipe your card at the print station you will only see your own print jobs, not those of other users. This means that you can't use a temporary card or a friend's ID card to print. If you've forgotten your card you can still print by logging on at the print station with your username and password. Visitors to Unitec who do not have a username are not able to print. Print jobs stay on the system until they are printed, or for 4 hours. Print jobs not released or printed after 4 hours will be automatically deleted from the queue. Printing to MFDs is available at all library locations for colour as well as black and white. PDFs can be printed direct from USB at MFDs. All printing should default to print to the MFD printers. However occasionally it defaults to pdf so please check. Scanning to Email is available via the MFDs. This is recommended as it is fast and works well. If you are scanning a number of documents to your email address, you can get this address loaded onto your student ID card. Ask a member of the copy center staff to do this for you. The Unitec Copy Centre offers a full range of services, including photocopying, colour copying, wide format plan printing, poster printing, laminating and binding and desktop publishing. 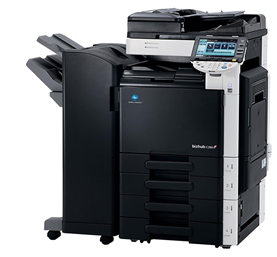 They can download graphic files from email, CD and USB to their laser printers. They stock a wide range of paper and card samples, as well as all Unitec stationery.